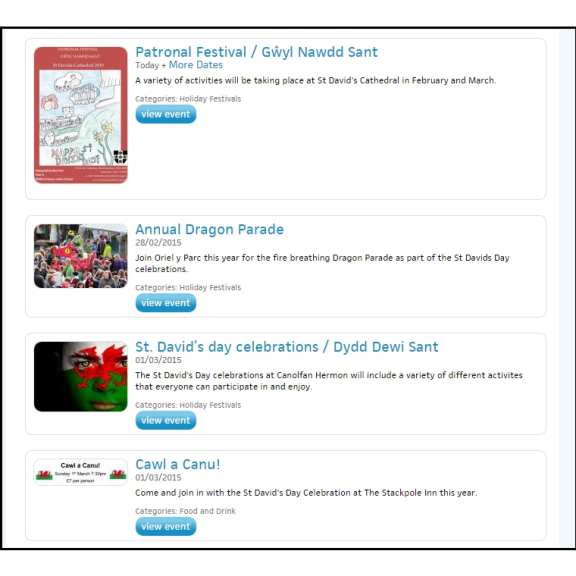 Patronal Festival / Gwyl Nawdd Sant - Which will include a range of exciting activities and services will be held at St David's Cathedral on various dates in February and March. Oriel y Parc Annual Dragon Parade - Where 150 Pembrokeshire school children and Residential Care Group members will be taking to the streets with their colourful handmade dragons and school banners, accompanied by the 948 Squadron Air Corps Training Band. Cawl a Canu! - A traditional night at The Stackpole Inn where cawl will be served with bread and cheese followed by a performance of Welsh songs by the Stackpole Singers. 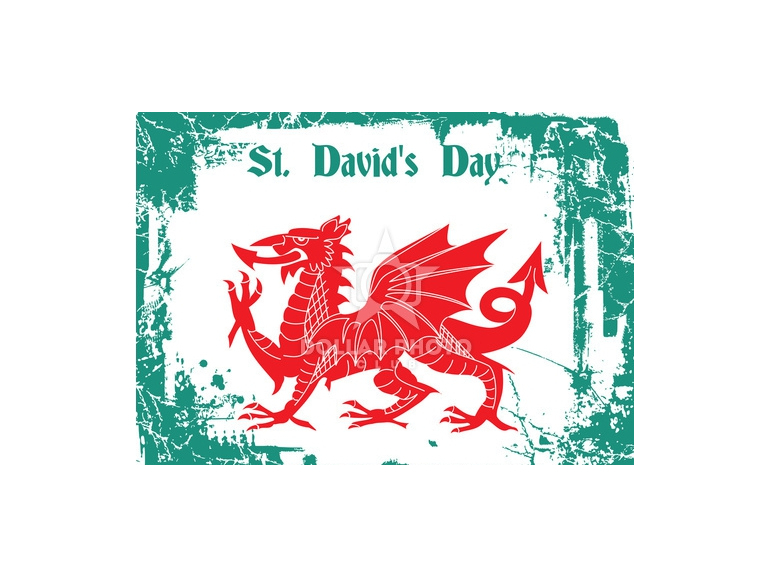 Haverfordwest Farmers Market 2015 - A special promotion will be held on the 27th of February celebrating St David's Day.